In Just Kids, Patti Smith's first book of prose, the legendary American artist offers a never-before-seen glimpse of her remarkable relationship with photographer Robert Mapplethorpe in the epochal days of New York City and the Chelsea Hotel in the late sixties and seventies. 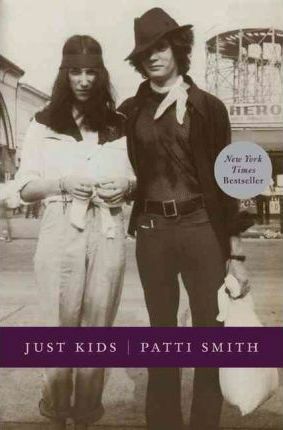 An honest and moving story of youth and friendship, Smith brings the same unique, lyrical quality to Just Kids as she has to the rest of her formidable body of work--from her influential 1975 album Horses to her visual art and poetry. Patti Smith would evolve as a poet and performer, and Robert Mapplethorpe would direct his highly provocative style toward photography. Bound in innocence and enthusiasm, they traversed the city from Coney Island to Forty-second Street, and eventually to the celebrated round table of Max's Kansas City, where the Andy Warhol contingent held court. In 1969, the pair set up camp at the Hotel Chelsea and soon entered a community of the famous and infamous--the influential artists of the day and the colorful fringe. It was a time of heightened awareness, when the worlds of poetry, rock and roll, art, and sexual politics were colliding and exploding. In this milieu, two kids made a pact to take care of each other. Scrappy, romantic, committed to create, and fueled by their mutual dreams and drives, they would prod and provide for one another during the hungry years. Patti Smith is a writer, performer, and visual artist. She gained recognition in the 1970s for her revolutionary mergence of poetry and rock. Her seminal album Horses, bearing Robert Mapplethorpe's renowned photograph, has been hailed as one of the top 100 albums of all time. She has recorded twelve albums. Smith had her first exhibit of drawings at the Gotham Book Mart in 1973 and has been represented by the Robert Miller Gallery since 1978. Her books include M Train, Witt, Babel, Woolgathering, The Coral Sea, and Auguries of Innocence. In 2005, the French Ministry of Culture awarded Smith the prestigious title of Commandeur des Arts et des Lettres, the highest honor awarded to an artist by the French Republic. She was inducted into the Rock and Roll Hall of Fame in 2007. Smith married the late Fred Sonic Smith in Detroit in 1980. They had a son, Jackson, and a daughter, Jesse. Smith resides in New York City.